Play-Doh Cupcake Celebration Playset Just $9.38! Down From $20! You are here: Home / Great Deals / Amazon Deals / Play-Doh Cupcake Celebration Playset Just $9.38! Down From $20! Amazon has this Play-Doh Cupcake Celebration Playset for just $9.38 (Reg. $20)! What do you get when you mix Play-Doh cupcakes with one of everyone’s favorite carnival rides? A whirly, twirly, colorful good time! This crazy cupcake wheel lets little bakers get creative with all kinds of ways to make and decorate their own Play-Doh treats. 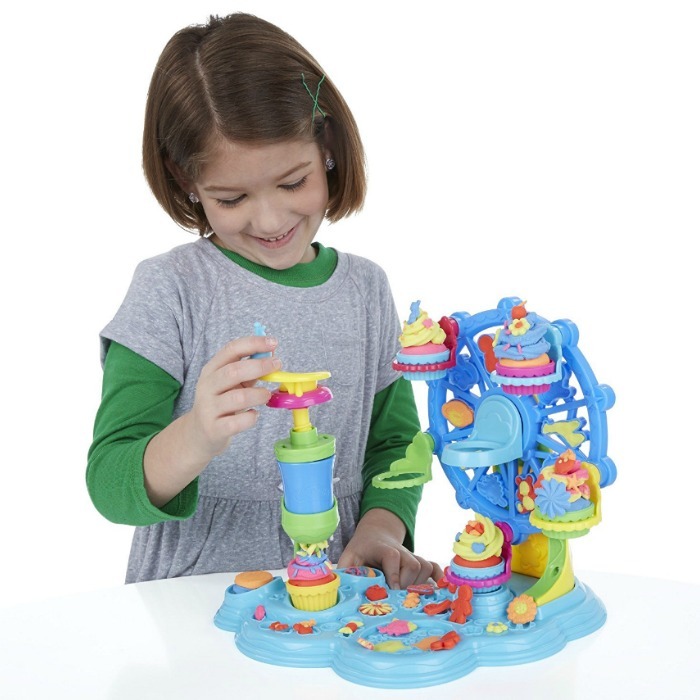 Shape a bunch of pretend cupcakes, pop them onto the wheel, then spin the wheel and add all kinds of decorations!